Sunderland were well beaten in their final Premier League match of the season. Sunderland bowed out from the Premier League after 10 seasons with a 5-1 thrashing at Chelsea that illustrated the gulf between top and bottom. Few expected Sunderland to spoil the title-winners' party and despite going behind in the game's early stages, Chelsea enjoyed overwhelming possession and were not flattered by the scoreline. Bizarrely, it was the Wearsiders' boss David Moyes who fielded the weakened side against the champions as several first-team regulars declared themselves unfit. But while competing throughout, and even scoring first, Sunderland showed little sign of being capable of avoiding defeat. The scoreline was only slightly flattering to Chelsea, one goal coming from a move that clearly started from an offside position. The champions enjoyed overwhelming dominance of possession and might have won even more handsomely. Sunderland, not for the first time in a wretched season, looked a side that frankly has no real place in the top flight. For Moyes -- or whoever follows him as manager -- a mountain needs to be climbed if Sunderland are to build a side capable of regaining Premier League status. It is impossible to take any comfort from a 5-1 defeat, though the travelling supporters were magnificent as ever. Sunderland's inability to compete against the Premier League's best is understandable and would be so much easier to bear if they were not also as poor against bottom half clubs. 3 -- Moyes hinted beforehand that not all the changes to his preferred lineup were caused by genuine injuries. Even if no self-respecting player should ever duck out of a final game against the Premier League champions, that also suggests poor man-management. GK Jordan Pickford, 5 -- A great young goalkeeper, but at fault for two of Chelsea's goals. 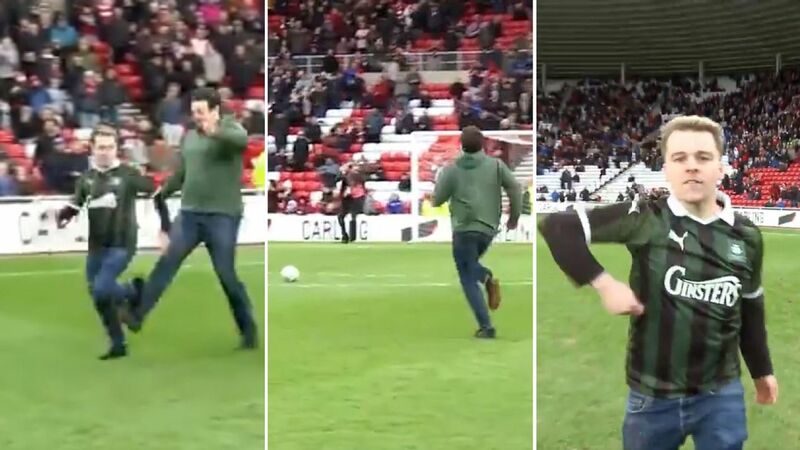 As he is almost certain to depart, this was a sorry farewell to Sunderland supporters. DF Javier Manquillo, 6 -- Took his goal well but was otherwise unable to cope with the pace and power of Chelsea attacks. DF Billy Jones, 5 -- Did his best and was as conscientious as ever but was ultimately unable to stem the tide. DF John O'Shea, 7 -- Professional throughout and never embarrassed in his battles with Diego Costa. Perhaps the pick of a poor bunch. DF Joleon Lescott, 5 -- Did as well as could be expected, given his long absence from top flight football, but badly at fault for the third goal. DF Bryan Oviedo, 5 -- Not his best afternoon and struggled throughout against Chelsea's attacking flair. MF Jack Rodwell, 5 -- Managed a couple of half-chances but was, as always in Sunderland colours, a disappointment. MF Sebastian Larsson, 6 -- His usual industrious self, and once again showed signs of being a threat from set pieces. MF Lee Cattermole, 5 -- Tried his best but was no match for the Chelsea midfield. DF Adnan Januzaj, 5 -- A great run that led to Sunderland's unexpected opening goal, thereafter invisible. FW Fabio Borini, 5 -- Unable to offer any serious threat to the Chelsea goal. MF Lynden Gooch, 6 -- Plenty of effort but no sign of imposing himself in midfield. MF Darron Gibson, N/R -- No real chance to make an impact.